A superb example in a great colour with a fully stamped up service history and some nice extras to include Full Yoshimura carbon can,ohlins steering damper,R & G tail tidy,R & G Exhaust hanger.This really does look and sound awesome.Will come with a new MOT once sold..Superb looking example. Boasting phenomenal power, striking looks and an unforgettable ride, Kawasaki's ZX series features some of the most memorable superbikes to come out of Japan. There's the mid-weight Ninja ZX-6R, a more road-friendly bike with plenty of fire in its belly. Additionally, there's the Ninja ZX-10R for riders who require even greater performance. 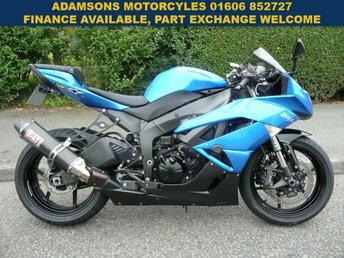 You can view all of the used Kawasaki's ZX series motorbikes for sale in Northwich on our website. 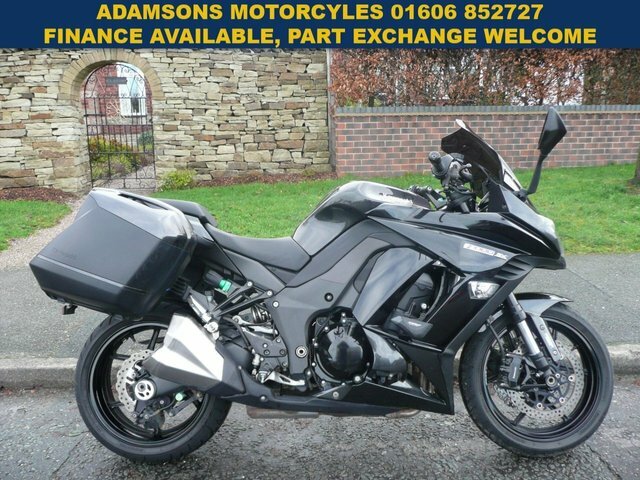 The team at Adamsons Cars Limited is proud to be able to offer a wide selection of quality used bikes at competitive prices, with options to suit every lifestyle and budget. Be sure to get in touch today with any questions, and to arrange a test ride on the model of your choice.